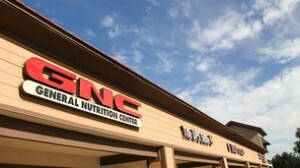 GNC Supplements: Lawsuit Claims Weight Loss & Sports Supplements Have Unsafe Ingredient. A substance originally created as an over-the-counter decongestant has been illegally and unsafely sold in widely marketed sports supplements, according to a class-action lawsuit filed this month in Los Angeles federal court. Bates sued retailer GNC and Cellucor Sports Nutrition, which manufactures, distributes and markets the supplement, for “making false and unsubstantiated representations concerning the efficacy, safety and legality of C4 Extreme,” among other claims. Cellucor’s parent company, Woodbolt International, is also named in the suit. C4 Extreme is no longer manufactured with DMAA. But the substance can still be found in a variety of dietary supplements aimed at boosting physical performance or weight loss, such as Jack3d (pronounced “jacked”) and OxyELITE Pro, which are sold online and at retail stores. Advertised as “legal cocaine” on some websites, the powder is also sold in packets or pill form. Medical experts say there are potential health risks from consuming DMAA. “What we’ve seen is that DMAA in supplements has been connected to situations where the heart has gone suddenly into failure due to excessive stress,” said Dr. Pieter Cohen, an assistant professor at Harvard Medical School. Cohen added that when DMAA is taken as a party drug with alcohol, it has been connected to bleeding in the brain. Supplements containing DMAA remain “a popular product segment,” Miller said. Cellucor, Woodbolt International and attorneys representing Bates did not respond to requests for comment. DMAA was developed as a synthetic substance by drugmaker Eli Lilly in the 1940s, and it was approved by the Food and Drug Administration as a nasal decongestant spray. It was marketed as Forthane, and ads trumpeted that patients found it both “desirable” and “inconspicuous.” The patent lapsed in the 1970s, and about six years ago, manufacturers began adding DMAA in powder form to sports and dietary supplements as Geranamine, a geranium oil derivative. The entrepreneur credited with this discovery is Patrick Arnold, the organic chemist who created the designer steroid drugs behind the BALCO baseball doping scandal. Arnold, who served prison time for his role in the BALCO case, now runs dietary supplement companies such as E-pharm Nutrition, which sells products like spiced apple-flavored Clearshot, an energy drink with “powerful neuro-stimulating and endurance-enhancing properties” that contains DMAA. He did not respond to requests for comment. Since its addition to dietary and sports supplements, DMAA has become the subject of controversy. It has been banned by the World Anti-Doping Agency and is a controlled substance in Canada and New Zealand. The powder is also the subject of a safety review by the U.S. Army; two soldiers died after having heart attacks during fitness training last year, and DMAA was found in their toxicology reports. In December, the military stopped selling sports supplements containing the substance in military exchange stores, pending the review. An Army spokesman said the armed forces don’t currently have a position on the safety of DMAA, but the “taking down of the products from shelves speaks to the need to take interim precautionary measures,” Jaime Cavazos, a senior public affairs supervisor, wrote in an e-mail. Because manufacturers and distributors say DMAA is an organic compound derived from geranium oil – which has long been used in food and fragrances – it did not require FDA review before it was added to dietary supplements. The claim that DMAA is a natural ingredient is being challenged in the class-action lawsuit as an act of false and deceptive marketing, and some parties unrelated to the lawsuit agree it isn’t organic. Manufacturers primarily have relied on a 1996 paper published in a Chinese scientific journal that links DMAA to geranium oil, though critics, like Neal-Kababick, say the paper is fraught with scientific errors, including translation problems. Harvard’s Cohen said the fact that DMAA remains in products on store shelves illustrates the need for increased oversight of dietary and sports supplements by the FDA, which is considering making adjustments to guidelines on new dietary supplement ingredients. Ward declined to confirm whether there is an ongoing investigation or review of DMAA.